The community project, Health camp and short trek based in Helambu region, it is highland village of the Nepal and situated northeast 80 km from the central Kathmandu. It is home of the Hyolmo people, who are famous for their artistic ancient monasteries. Due to massive earthquake individual house, School and health were completely damaged. Since that time, Lhasso Adventure has been conducting different activities to support community by coordinating national and international organization. Through community project we have been running several activities for the locals, every two month first add training, regularly health checkup by doctors, providing free medication, health and hygiene awareness program, supporting to temporary health center by providing equipment, medicines and helping to rebuild health post. In addition, advantages of doing community project in Nepal, are related to the cultural diversity, there are more than one hundred twenty castes. Different cast and community have unique costume and tradition. As you get in to the community project, Locals welcome you warmly and traditionally by offering Khada (holy silk scarf) and seasonal colorful flowers. Also it is great opportunity to interact with locals and one of the extra experience is celebrate Nepalese festival with locals, for example Dashain, Tihar (Diwali/ Light festival) Lhosar (new year of Sherpa, Tamang, And Gurung) and Holi (color festival) etc. Day 4 : Drive to Helmbu project site 1650m. Day 5 : Project site Helmbu 1650m. Day 6 : Project site Helmbu 1650m. Day 7 : Project site Helmbu 1650m. Day 8 : Project site Helmbu 1650m. Day 9 : Project site Helmbu 1650m. 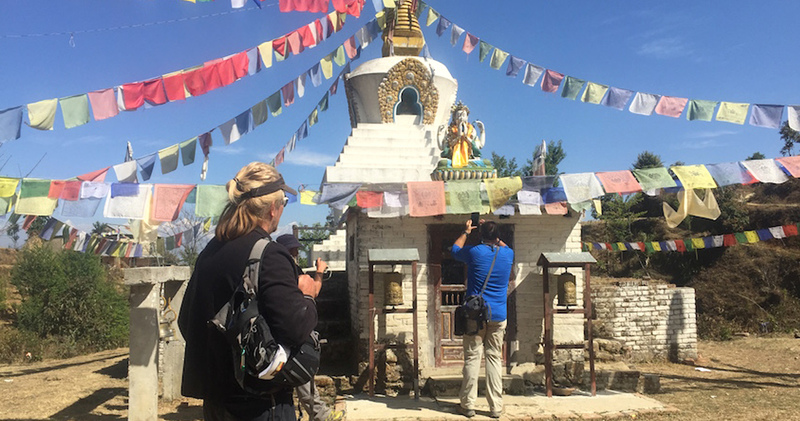 Day 10 : Drive Project site to Jaharsing pauwa and trek to Nagarkot 2050m. 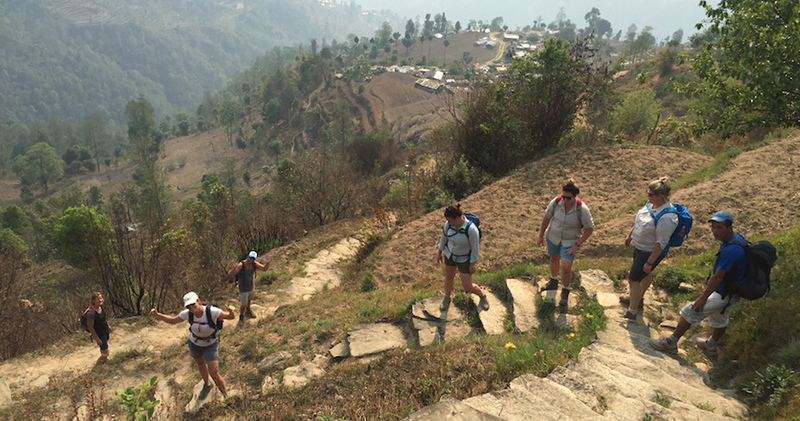 Day 11 : Nagarkot to Dhulikhel 1600m. 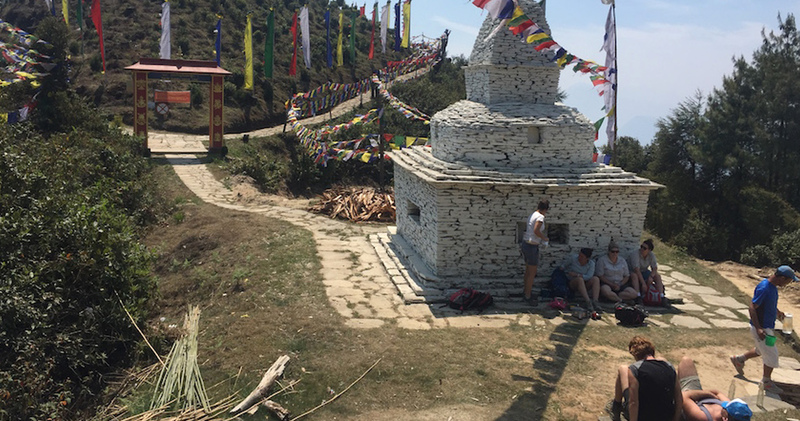 Day 12 : Dhulikhel to Namobuddha 1800m. Day 13 : Drive Namobuddha to Kathmandu1350m. Day 14 : Kathmandu 1350m. Day 15 : Fly back to Home. Accommodation in tea house runs by local people during trek. Lhasso adventure’s representative pick you up from the airport then transfer to hotel. The project coordinator brief you about project logistics before dinner. After breakfast you’ll go for sightseeing in world heritage places around Kathmandu and get back to Kathmandu. After breakfast you’ll tour in local places and in the afternoon preparation for projects, such as purchasing needed medication. Day 4 Drive to Helmbu project site 1650m. Today you’ll drive to the project site, it might take 5 fours on rough road, via Melmchi town and you’ll have local lunch at Bagar. Then ascending to the campsite, approximately two hours walking. Day 5 Project site Helmbu 1650m. Health clinic for community people, it starts at 9 am to 4 pm. In the evening while tea time review about health camp, and planning for tomorrow project. Day 6 Project site Helmbu 1650m. Today you’ll go to the Health clinic for learning first add from the School’s teachers. Day 7 Project site Helmbu 1650m. 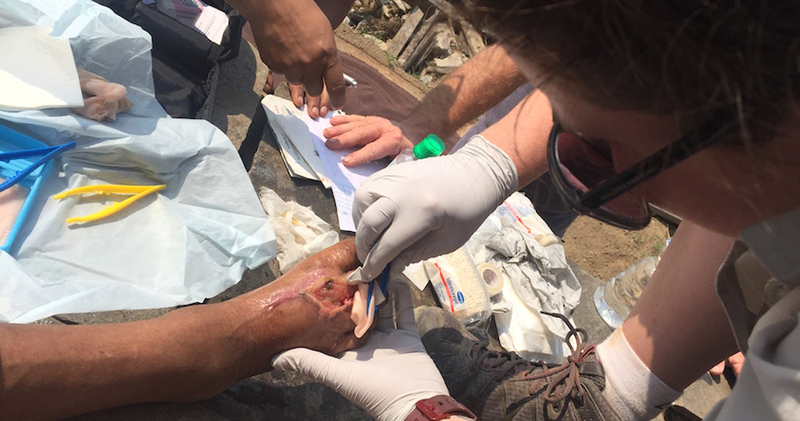 Today we are doing mobile health clinic around villages, for those who could not visit the camp site, because unable to walk. Day 8 Project site Helmbu 1650m. Again today we are doing mobile health clinic in different villages, for those who could not visit the camp site, because unable to walk. Day 9 Project site Helmbu 1650m. Rest day and visiting local’s house. Day 10 Drive Project site to Jaharsing pauwa and trek to Nagarkot 2050m. After breakfast repack and the community organize farewell ceremony. Then drive to Jaharshing Pauwa, after lunch begin trek to Nagarkot. Day 11 Nagarkot to Dhulikhel 1600m. Today is the longest walk of the whole trip, which might takes 6 hours to get to Dhulikhel. You’ll be able to see spectacular view along the ridge. Day 12 Dhulikhel to Namobuddha 1800m. Today’s walk will be more accent then decent, in the begin steep up hill (thousand steep) to Kali temple and walk along the villages. After that gradually accent to the Namo Buddha. 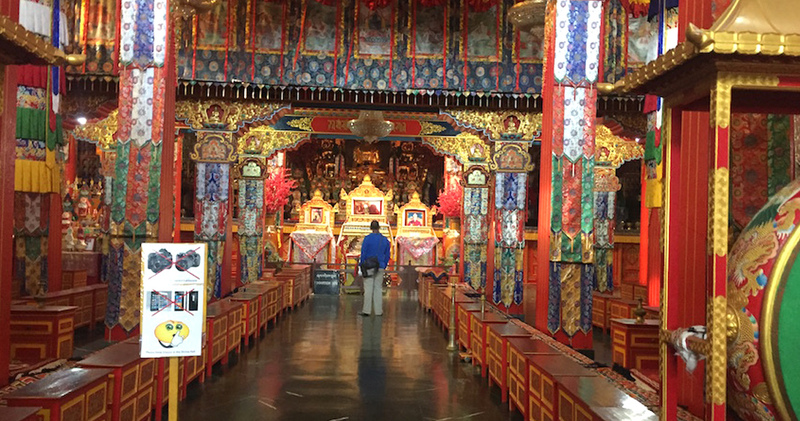 It is a spiritual place, according to the Buddhist legends Buddha sacrificed his body to starving tiger with cubs. Day 13 Drive Namobuddha to Kathmandu1350m. After breakfast drive to Kathmandu it might take an hour and half. Rest and relaxing day or you can buy presents to your friends and families . Day 15 Fly back to Home.